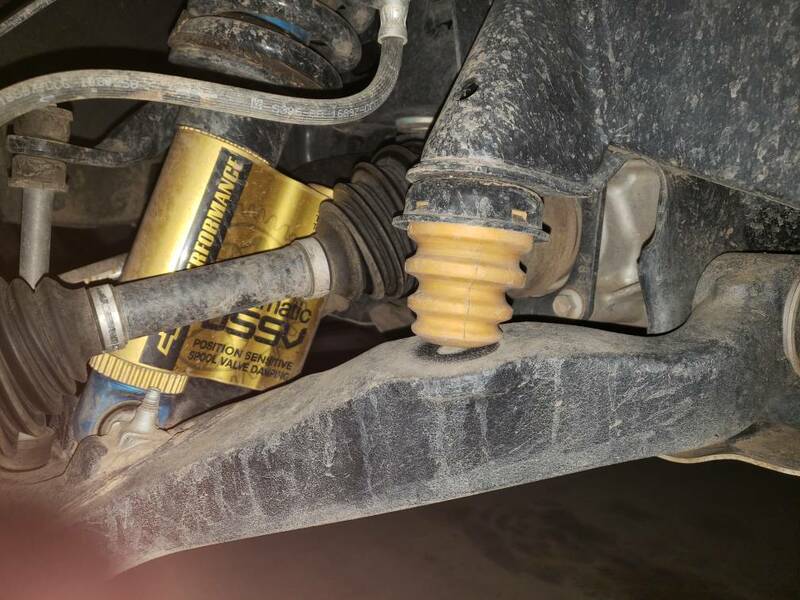 Anyone replaced there stock bumpstops after there lifts? If so what did you use ,and how did you change them out? I used taller bump stops with the RC921 level kit I installed. Belltech #4924 and I cut one round off. Truck rides great. So about a year and half ago when I leveled my truck I put the belltech bump stops that everyone else was doing and now seems everyone does. It's even sold with the 589 kit. 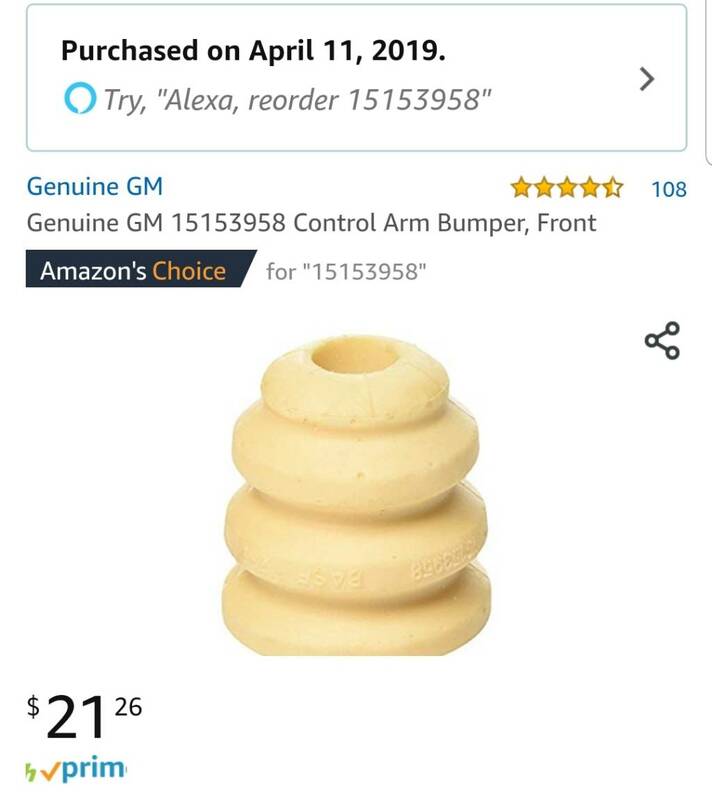 Well I was browsing Amazon today and found these Genuine GM bump stops part #15153958. I took a gamble and ordered them because they looked just a little shorter than the belltechs. I never really liked how the belltechs rest pretty good on the lower control arms. They have even become lopsided from it. 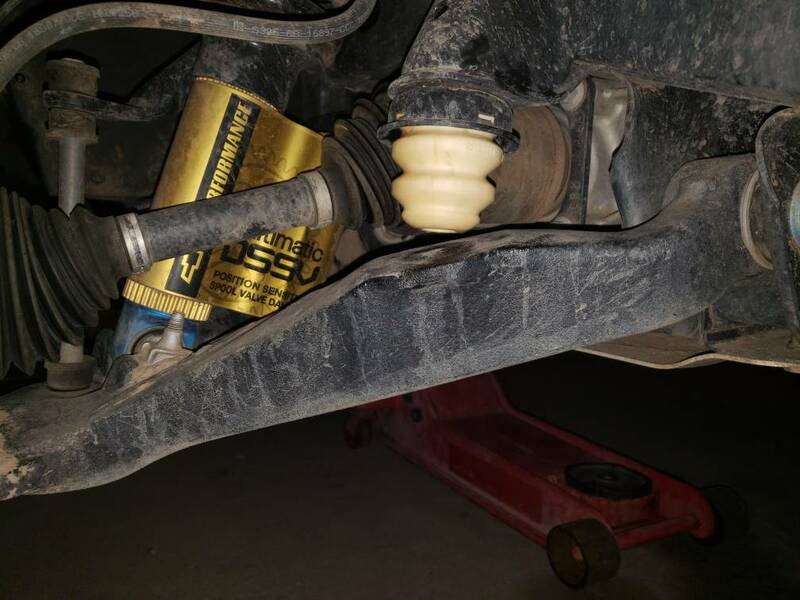 Well anyways the GM ones are a little stiffer and less spongy and about a half inch shorter and do not rest on the lower control arm. They are still significantly longer than OEM tho. Heres a few pics from my install tonight. Gotta love Amazon same day delivery! Last edited by FaustZR2; Today at 03:16 PM. I'm using the ones that came with the 589 kit. That's why I cut the bottom round off the 4924's. That gave me about a 1/4" clearance between the bump stop and lca. I keep looking at the Timbren kits and would try them if they didn't cost twice what they are worth. I'm going to order those GM ones you posted, thanks for the heads up. Thanks, I saw that, I found a seller at $25 a pair. Hope they are not some knockoff's. 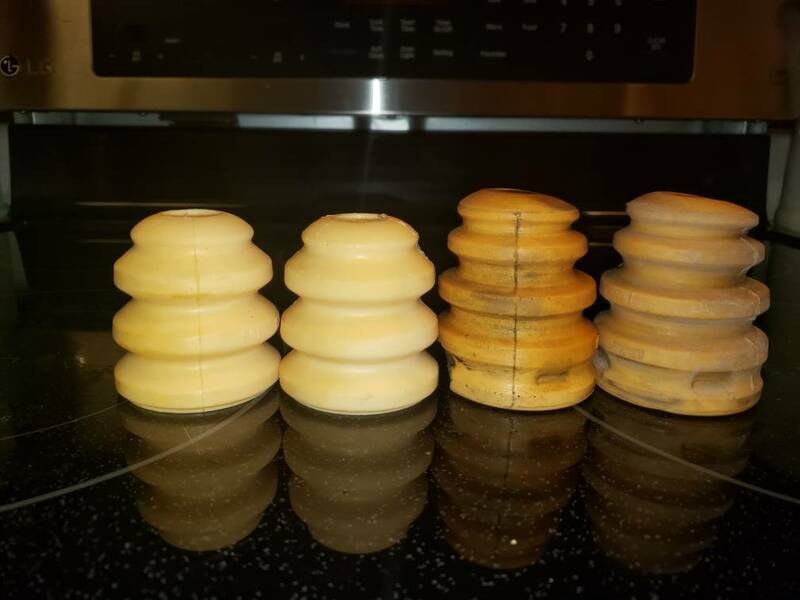 I sent a email to Timbren asking them to sell my a set of the off road bump stops at wholesale in an exchange for a video review. Never heard a word from them, really nothing much online. I found one video showing how the fronts worked on a TRD. It's the same bump stop as the Twins use. I want to try the rears and see if they takeout the hard hit at full compression that makes the truck buck like a horse. Thanks Guys for all the tips,,Definitly going to look at those GM ones..they look longer then the ones presently on my truck. It looks like they just pop out and pop new ones in? Yea i just saw your video on amazon,,Thanks again.